A co-author of two books on designing and facilitating successful offsite retreats, Merianne specializes in organization effectiveness, strategic planning, leadership development, and creative thinking. As President of Retreats That Work, she conducts retreats and workshops in the U.S. and abroad, trains experienced facilitators in how to design and lead successful offsites, and consults with a variety of organizations on strategy, board and executive leadership development, and culture change. Merianne received a masters degree in organization development from the American University in Washington, DC, where she also completed a post-graduate training program in group facilitation. She also has received post-graduate education in conference interpretation from the Monterey Institute of International Studies in Monterey, CA and the Institut Supérieur de Traduction et d’Interprétariat in Paris, France. Sheila is president of Wild Blue Yonder, a consulting firm centered around leadership, creative thinking and organization behavior. Although she works with a wide range of organizations, she also has a practice area with a particular focus on marketing-oriented and media companies. She has been planning and leading corporate retreats for over 20 years, from small board retreats to very large all-staff offsites. In addition to teaching advanced facilitation courses with Merianne Liteman, she conducts custom-designed training programs in leadership and management, persuasive presentations, creative thinking, teamwork and business writing. She’s an accomplished platform speaker on topics like work/life balance and creativity. Louis de Merode is an internationally known coach, management consultant, and facilitator who specializes in organization, team, and personal effectiveness. At the World Bank, Louis led operational teams and units and later was an internal consultant helping teams and work groups achieve higher performance. He works with equal ease in English and French. Louis has four MS-level degrees: engineering and economics from University of Louvain, Belgium; business administration from University of Chicago: and organization development from Pepperdine. He has a certification from the Georgetown Leadership coaching program, three certifications from the Gestalt Institute of Cleveland, and one from the Integral Coaching Canada Program. Paulina Escobar is an empathic facilitator and trainer with a great understanding of the complexities of interpersonal relationships and group dynamics as well as experience working with the Latino community and organizations that serve Spanish-speaking clients. Paulina is an Integrative Wellness Coach who specializes in personal development and in helping her clients strengthen their interpersonal relationships. Paulina has designed and facilitated retreats, workshops and wellness groups internationally. Paulina has a Bachelors Degree in Physical Therapy and is certified in Personal and Professional Ontological Life Coaching as well as a broad range of integrative and holistic health modalities. Jeff Liteman facilitates retreats; leads workshops on facilitation skills, executive development, and effective meetings; and consults on organization effectiveness for corporate and business clients, government agencies, international organizations, and nonprofits in the U.S. and abroad. Overseas, he has consulted to U.S. diplomatic missions and foreign governments as well as non-governmental organizations such as the Coalition to Prevent Violence Against Women in Ghana. During Washington assignments with the U.S. Information Agency (now part of the Department of State) he served as head of Foreign Service Training, chief of Foreign Service Personnel, and director of organization and professional development for USIA’s Bureau of Information, a team-based reinvention laboratory that received the Vice President’s Hammer Award for its innovative approach to management and leadership development. Samantha Levine-Finley is a certified executive coach and has served as a workplace facilitator, coach, trainer, and mediator in the federal and nonprofit sectors. She served as an Associate Ombudsman at National Institutes of Health from 2008 to 2013. She specializes in helping leaders and teams identify issues that are hindering their effectiveness, foster constructive problem solving, and develop processes for improved collaboration. 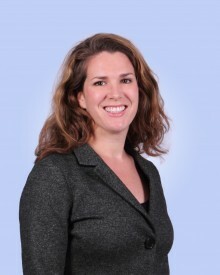 Samantha authored several articles on workplace dispute resolution systems, including the award-winning NIH publication "Team Science: A Field Guide." She earned a Masters in Conflict Analysis and Resolution from George Mason University. Denise Rouse provides retreat facilitation, leadership development, executive coaching and behavioral change management support to people and organizations in transition. She coaches diverse professionals as they align their individual achievements to organizational goals, identify critical success factors for both and streamline essential job functions. Her experience with work and people management issues common to professionals in positions of authority informs her skill in helping others navigate leadership, relationship, performance and communication challenges inherent in their roles.